Articles for July 2010 Year » SoftLab-Portable.com - Portable Soft! Uninstall Expert is an easy-in-use and powerful applications that helps you to uninstall unneeded programs completely from your computer. With Uninstall Expert, users can uninstall applications much faster than Windows Add/Remove program, sometimes 5-10 times faster. Still users can pick up the "hidden" programs which can't be displayed by Windows Add/Remove program. Normally Add/Remove program can not uninstall applications completely, but Uninstall Expert can scan deeply into the computer, and then any broken registry keys and unused files on the hard disk can be removed completely. FinalBurner is alternative to expensive CD and DVD burners. This 14-Mb application enables you to create data, audio, DVD disks and burn them onto any type of media, such as CD R/RW, DVD+R/RW, DVD-R/RW, DVD DL. You can also create an ISO image of a disk. FinalBurner combines all the elements of a professional CD recorder, delivered with a convenient user interface that pleases the eye.Final Burner is designed without any extraneous features. It restricts the complex process of CD recording to a few mouse clicks, which is ideal for typical users. Now you can produce high quality output on the fly without any deep knowledge of CD recording technologies. Power users will benefit from the opportunity to be in full control of many settings that affect the burning process and the quality of the result. Mp3 Audio Editor 7.9.5 portable is a multi-award winning mp3 editing software tool. The Mp3 Audio Editor software includes a powerful MP3 editor feature that can edit MP3 as well as WMA, WAV, and OGG files with ease! WinXP Manager is a system utility that helps you optimize, tweak, and clean up Windows XP. It will increase your system speed, improve system security, and meet all of your expectations. It's compatible with Windows XP SP3 entirely! Why Should I use WinXP Manager? Wouldn't you like to Use Windows XP! Windows XP is the most advanced Windows Operating System for home users and professionals alike. But is your Windows XP' size Large? speed Slow? system Insecure? and Unfit to your idea? Now it can be solved! WinXP Manager is the powerful software tool to tweak and optimize Windows XP, it bundles more than 30 different utilities in one and help your system faster and more stable, secure and personal! Joboshare DVD Ripper Platinum can rip DVD movies to almost all popular video and audio formats such as AVI, MPEG4, WMV, DivX, RM, MOV, XviD, 3GP, FLV, SWF, MP3, WMA, WAV, M4A, AAC, AC3, etc. with excellent quality and super fast DVD Ripping speed! With Joboshare DVD Ripper Platinum, you can enjoy favorite movie on your iPod, Zune, iPhone, Apple TV, PSP, Xbox 360, PS3, MP4/MP3 Player, Smart Phone, Pocket PC, PDA, Mobile Phone, Archos, Archos AV500, Archos AV700, Archos GMini402, iRiver PMP-100, Creative Zen Vision, etc. Fresh View 8.0 portable gives you the ability to organize and view multimedia files (images, audio, video). Watch movies, listen to music, and view graphics in a slide show. Image files in a folder can be displayed using a number of views, including a thumbnail view that lets you quickly see what your images are without having to open them. StationRipper 2.98 portable allows you to Record Internet Radio Stations and broadcasts. Users on broadband connections regularly report 3,000-6,000 new songs can be downloaded every 24 hours with the registered version! Bigasoft PSP Video Converter v2.2.0.3848 portable Designed to enhance your ultimate high-definition experience on the go, Bigasoft PSP Video Converter can easily and fast convert all popular video formats (AVI, MPEG, WMV, MP4, MKV, H.264, DivX, XviD, MOV, RM, M4V, VOB, ASF, 3GP, etc.) to PSP, PS3 video format MP4 (MPEG-4, H.264) with excellent HD video quality for having fun wherever you are. Bigasoft AVI Converter v2.2.0.3848 portable can help you easily convert all popular video files to AVI, MPEG or MPG for watching your favorite movies anywhere with ease. 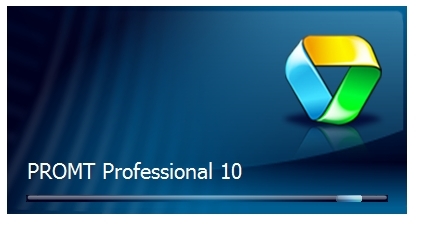 Plato Video Converter Professional 11.07.01 portable is an idea program for anyone. It enables you convert almost all kinds of video files such as rm, divx, xvid, avi, wmv, asf, mpg, mpeg, vob, mov, qt, flv, 3gp, swf, nsv to Apple iPod /Sony PSP /Cellphone 3GP/Microsoft Zune /FLV/ MOV video and Extract Audio to MP3/WMA/OGG/WAV from those videos . Use Memory Improve Professional to monitor and automatically resolve your memory issues. Windows is capable of running many programs at the same time. This is great for users, enabling the existence of some tools that work constantly in the background and provide useful services. Memory Improve Professional is one of such tools. it is a useful utility to monitor and manage system memory. It easily indicates the current state of memory consumption and can (automatically or manually) free up additional memory. It improves system performance by freeing and defragging memory. This decreases load time and improves application performance. As the result of the increasing demand for greater functions, many applications are more and more complicated. Every program installation on Windows may cause the operating system to change in a big way, such as copying system files, modifying registry, generating log files, installing device drivers and system services. All of these operations will affect the system performance and occupy disk space. Installing and uninstalling software repeatedly is often the case, which will cause system slowdown, freezing or crashing. It may also lead to some mysterious error messages popping up or other new software can't be installed correctly. Final Uninstaller has a scientific method of dealing with these problems.